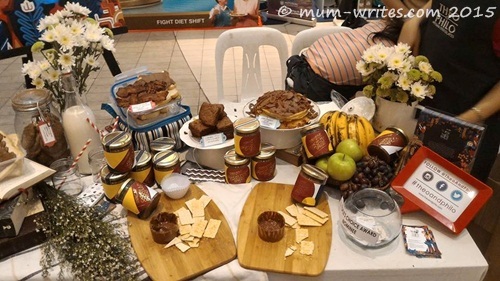 The recently concluded Yummy Big Baon Blowout was a delicious gathering of a number of Manila’s tasty products and delectable finds. 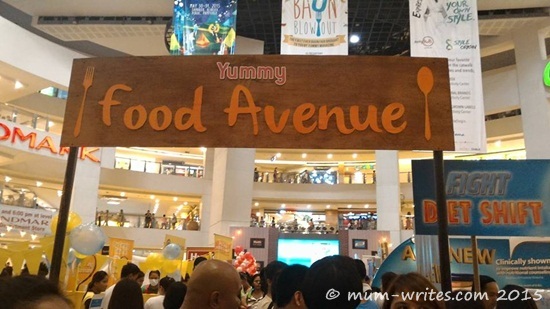 A foodie-at-heart, who cannot simply resist an enticing row of beautifully-crafted gastronomic treats, and a mum who struggles on a daily basis on what to prepare for the little man’s school baon, I just had to check out what this food fair has to offer. Spread By Chef Joaquin ~ They offer a wide selection of interesting and delicious spreads that are sure to match anyone’s taste. The not-your-usual spread variants include Jalapeno Salsa, Spinach Dip, Chili Chocolate, Salted Coffee Caramel, and Spinach Dip, with prices ranging from Php210-Php320 per bottle. These mouth-watering spreads are perfect to pair with different breads and crackers. Theo And Philo Chocolates ~ I thought this beautiful spread is enough to tell you how delicious the chocolate products from Theo and Philo are. They are also perfect as spreads and as ready snacks for those with sweet tooth. And what’s even better is that they are 100% Philippine made! The Juice Barista ~ offers a wide variety of healthy and refreshing blended smoothie and cold-pressed juice. They have a big selection of yummy juices and smoothies to choose from, perfect for one hot sunny day and also ideal to include in our little ones’ baon for school. 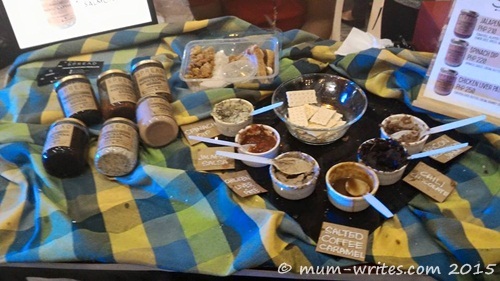 These are but a few of the delicious stuff we tried out at the Yummy Big Baon Blowout. 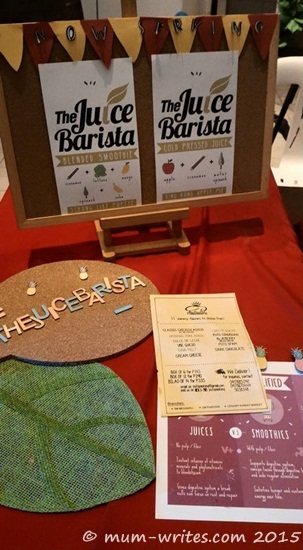 A number of other specialties and delicacies were also on display. Some are laid out on colorful round and square tablecloth and wrapped in very interesting packages, too. I shall be writing another post about our Yummy Big Baon Blowout experience on my mum blog, and I hope you check it out, too, once it is up. 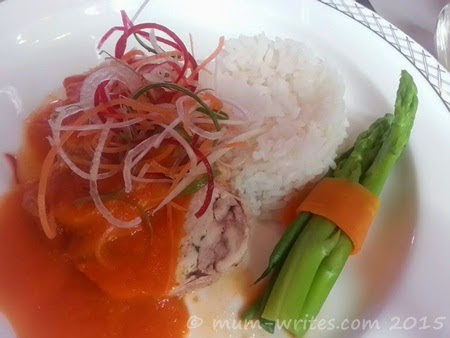 This entry was posted in foodie adventures, foodie finds and tagged food events, foodie events on 3.June.2015 by admin. 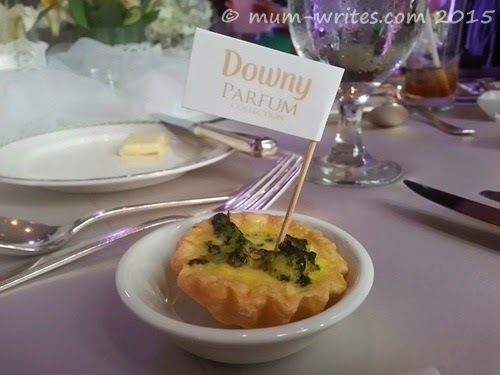 I had the pleasure of dining at The Conservatory of The Manila Peninsula recently when I attended the Downy Timeless Mother’s Day event. 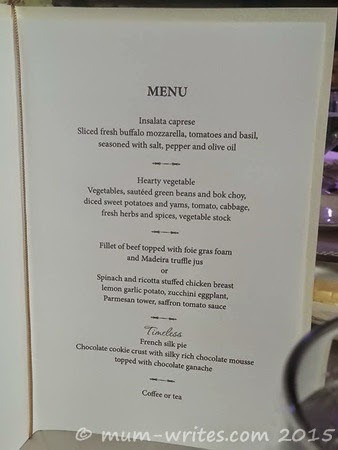 They have prepared a sumptuous feast for all the mums in attendance that day. For starters, we are served delicious breads and pastries, as well as cheese and butter, while waiting for the meal to be served. Insalata caprese was served next to to open our palates. The salad is a refreshing mix of sliced fresh buffalo mozzarella, tomatoes and basil, and seasoned with salt, pepper, and olive oil. 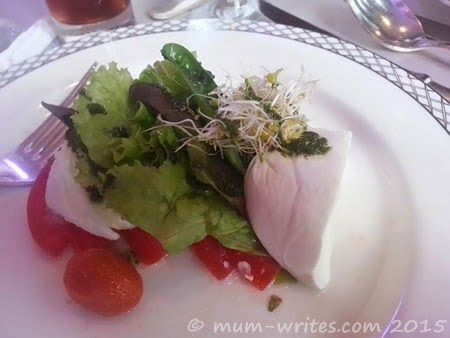 I love this salad and it is also my first time to try fresh buffalo mozzarella. To get ready for our main meal, our hearty vegetable was served next. This is a tasty medley of vegetables, sauteed green beans and bok choy, diced sweet potatoes and yams, tomato and cabbage, with fresh herb and spices and I enjoyed it! This entry was posted in food musings, foodie adventures and tagged restaurants on 10.May.2015 by admin.